It's quite yucky outside today so I decided to boost my mood by trying out one of my new Zoya polishes, Juicy. 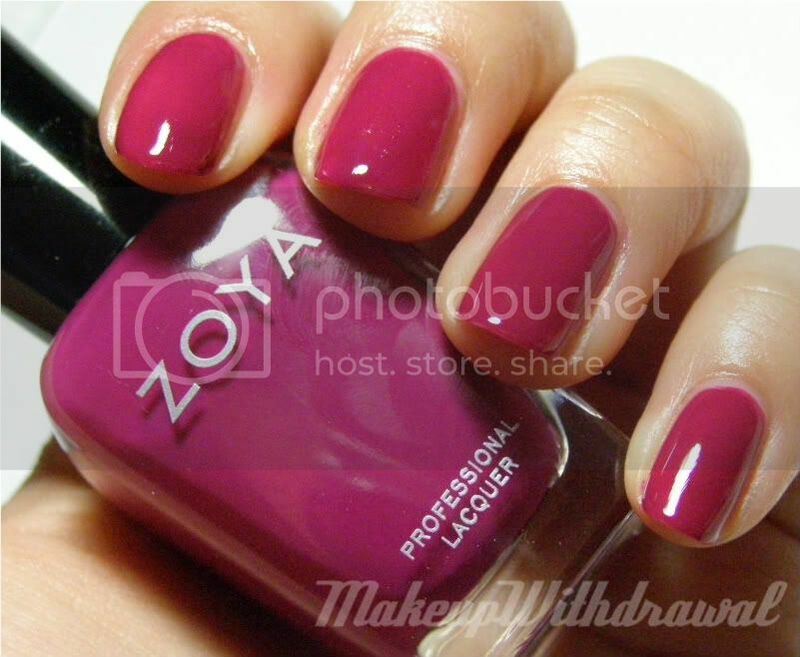 This is one of the ones that I picked for my three free Zoya polish giveaway deal. I really have no idea why I picked this one, maybe because it's the color of a plump, mouthwatering, fresh raspberry. Blargle, now I'm craving berries. 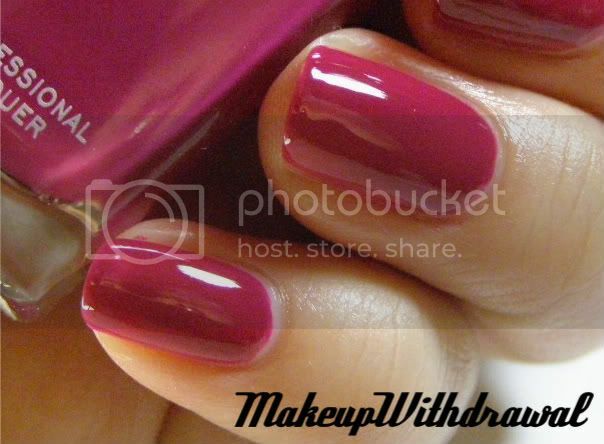 I used three coats in all of these pictures, with Essie First Base underneath and Sally Hansen Insta Dri on top. Juicy is a very gorgeous saturated jelly. The finish is somewhat semi matte, so a good top coat is needed for that glossy shine. The application wasn't bad, but it wasn't anything to laud about either. As much as this vibrant color did perk up my mood, I want to wait till summer to wear it. It doesn't match my winter blues, and I think I'll appreciate it more when I'm out on a picnic on a hot sunny day. Ok readers, I need your help. What would you suggest I do to get rid of my terrible mood? I'm stuck at home for the time being, and I'm antsy and all out of sorts. Also, there's no chocolate in the house, which makes me double grouchy.